It’s been a forgettable, slightly regrettable ski season so far. The preparation had been exceptional. I was on snow in November. I had weekend trips to Trapp’s and Bob Green’s. I had long distance runs on no chow and felt strong all the way through. Then I had a little fall at MSA. On the second day, coming back from the morning ski, I hit a damp patch of snow. My skis stopped. I kept going. I fell hard, stuck the landing, and compressed the right side of my body. My rib cage shifted way out of alignment. I felt the muscles and tendons straining. Something somewhere popped. It knocked the wind out of me. I lay in the snow for several minutes, afraid to move. Eventually I got up, skied back in, and kept skiing the rest of the camp. But it was really sore. I might have broken some ribs. At least separated them. So I popped lots of ibuprofen and kept going. I did the CSU training race, but I had no aerobic capacity, and suffered for it. I got sick right after coming back from Quebec. It’s become an annual tradition — train really hard, feel great, then collapse from too much, too fast. I was sick for a week. I could feel the virus in all my old injuries: shoulder, hips, knee, back. Coughing with strained ribs was brutal. It was all enough to disrupt my fitness and technique. In the Weston Tuesday Night races, I couldn’t get comfortable. I had no high-end. I didn’t feel connected to the snow. I even crashed on the final lap. Along the way, I realized I had outgrown my ski boots. All the long-distance running had caused my feet to lengthen out and now they were crammed into boots that were suddenly a size too small. New boots meant tweaks and adjustments, finding and refining technique. At the Bogburn, under extremely fast and icy conditions, I crashed hard on my right shoulder…the same side I had injured at MSA. I felt something snap when I hit the snow. I was pretty sure I had separated my shoulder. I skied through the rest of the race. It was Romeo’s 10th birthday, and I was racing in his memory. So I was going to finish, no matter what. Fortunately, the crack I heard was just me breaking through the layer of ice crust, and not tendons snapping. I had more problems at Weston Tuesday Nights. I was getting dropped by the guys I had skied away from the year before. I was getting sloppy and making mistakes. At the White Mountain Classic in Jackson, I skied brilliantly the first time up the Wave, then collapsed aerobically, and hobbled my way in, skiing alone the last 20 km. I couldn’t produce any power from my upper body. If I cranked too hard, my entire right side would flare up. I won my age group — but that was only because there was really no competition and not because I had a stellar race. I was becoming less sure about Craftsbury. I wasn’t in any condition to do a 50km marathon. But I kept going. Because that’s what I’ve always done and, at this point, it’s all I know to do. I raced Craftsbury, which was a brutally cold race of attrition. Craftsbury is its own story. But I finished it, and that was enough. I was starting to pack things in after Craftsbury. Later, as my body would start to improve, I came to understand that I had strained all the muscles responsible for lifting my rib cage so my lungs could expand while taking in air. My aerobic capacity was dramatically reduced. In addition, the strained muscles had thrown of my balance and equilibrium, degrading my technique, making me even less efficient. It was tricky to understand because the acute pain had cleared up much faster than the slow, strained muscles — I felt normal, but my body wasn’t at 100%. For an athlete — especially one who still retains distant memories of elite performances — it is demoralizing to be struggling against your body. I spent sleepless nights trying to understand the root cause and searching for the formula to recover the level of high performance. It wasn’t anything particular in my preparation or training. It was an unfortunate accident that interrupted everything…and created a ripple-through effect. I’m still dealing with the sense that I will lose the season because of it. I have to change how I think about success this season. It’s not about the results — even though I’ve won 2 of my last 4 races — but rather the feeling that I’m not getting the best out of my efforts. And I’m not quite there yet. 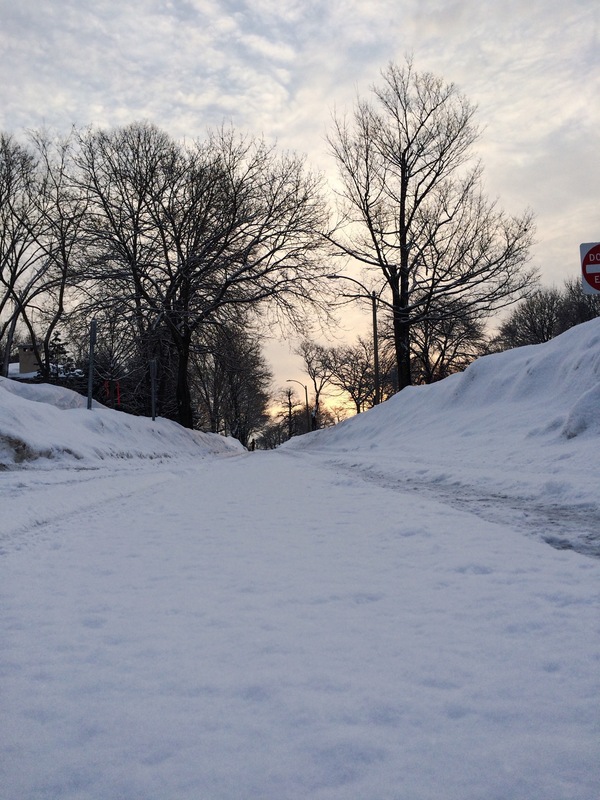 Heartbreak Hill is covered in snow. 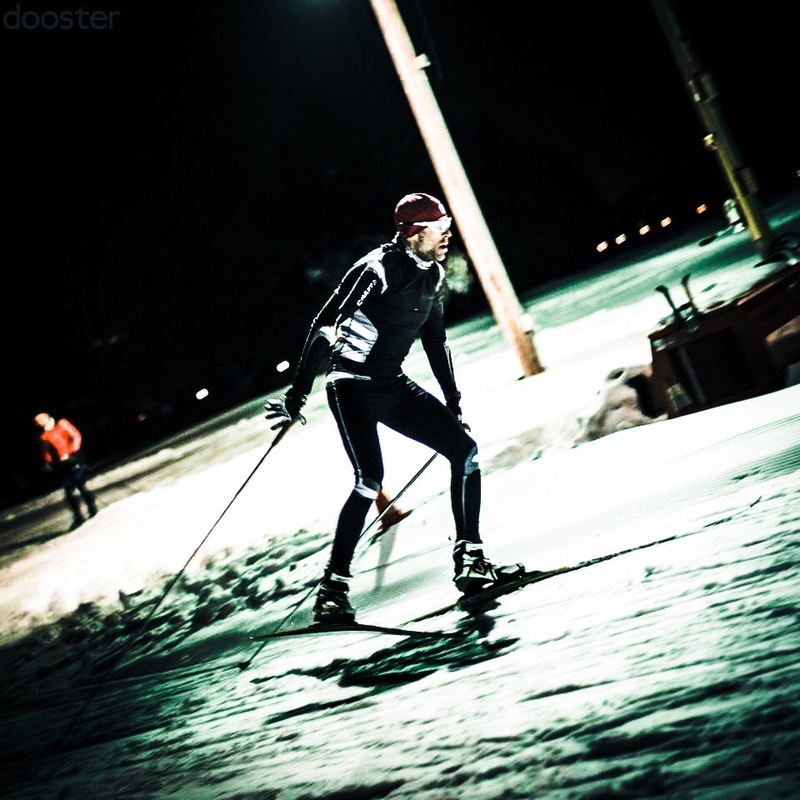 Skiing is far better than running this season, especially on city streets. I may have been quiet but I’ve been busy.